DUNIAELECTRICAL.COM: Menjual Berbagai Macam Produk Peralatan Dan Perlengkapan Listrik Seperti Jual MCCB LS. DUNIAELECTRICAL.COM: Agen , Distributor Serta Toko Online Jual MCCB/ Breaker Murah seperti Jual MCCB Fuji, Jual MCCB Mitsubishi, Jual MCCB LS, Jual MCCB Schneider Electric. Toko Listrik di Glodok Jual Produk Magnetic Contactor Murah seperti:CONTACTOR SCHNEIDER: Contactor Schneider LC1D09M7, Schneider Contactor LC1D12M7, Contactor Schneider LC1D18M7, Contactor LC1D25M7 Schneider, Contactor LC1D32M7 Schneider electric, Schneider Electric Contactor LC1D38M7. Overload Relay Schneider: LRD01 SCHNEIDER ELECTRIC, Overload Relay LRD02 Schneider, Overload Schneider LRD 03, Thermal Overload Relay LRD 04, LRD 05 Overload Relay Schneider electric. Magnetic Contactor Mitsubishi, Contactor SN 35, Magnetic Contactor ST 10, Contactor ST 20, Mitsubishi Contactor SN 150, Contactor Teco, Contactor CU11, Teco Cu 16, Magnetic Contactor CU18, Contactor LS: Contactor MC-9b, Magnetic Contactor MC- 12b, Contactor MC-18b, Contactor MC- 22b, Magnetic Contactor MC-32a LS, magnetic Contactor MC-50a LS, MAGNETIC Contactor MC- 100a LS. 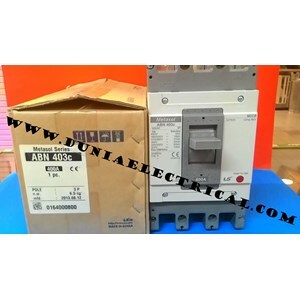 Molded Case Circuit Breakers / MCCB LS: mccb ABN 52c LS, ls ABN 203c mccb, MCCB LS ABN 103C. Magnetic Contactor Fuji: magnetic contactor sc-03 fuji, fuji electric Contactor sc-0, Magnetic Contactor SC-05 Fuji Electric, Fuji Contactor SC-N1, Contactor Fuji SC-N2, SC-N2S Contactor, Contactor SC-N3, Magnetic Contactor SC-N4 Fuji Electric, Fuji Contactor SC-N5, Magnetic Contactor SC-N6, Contactor SC-N7 Fuji, Fuji Contactor SC-N8, Magnetic Contactor SC-N10. Thermal Overload Relay TR-0N/3 Fuji Electric, Thermal Overload Relay TR-5-1N/3. Thermal Overload Relay TR-N2/3 Fuji Electric, Overload Relay TR-N3/3 Fuji. Thermal Overload Relay TR-N5/3 Fuji Electric . Produk- Produk yang Kami Jual: Temperature Controller, Timer, Counter, Counter/ Timer, PLC ( Programmble Logic Controller ), Inverter, Magnetic Contactor, MCB, Auto Breaker, MCCB, Circuit Protector, Kabel, Box Panel, Aksesoris Panel, Lampu dll. Temperature Fuji, Temperatur Hanyoung, Temperature Controller Fotek.Temperature Shinko, Temperatur Kontrol RKC, Temperatur Shimaden. Temperature Omron, Temperature Honeywell, Temperature Controller Azbil / Yamatake. Temperatur Kontrol Chino, Temperature Controller Yokogawa.Auto Breaker Fuji Electric, mccb mitsubishi, MCCB Schneider Electric. Magnetic Contactor, Thermal Overload Relay, Auto Breaker / MCCB, MCB, Circuit Protector. Inverter, PLC ( Program Logic Controller ) dan Program Controller Melsec. Relay, Timer, Counter, Counter / Timer. Kabel NYY, NYA, NYM dari Merek 4 Besar. Sensor Kabel, Proximity Switch, Photo Sensor, Photoelectric, Adapun Merek- Merek yang Kami Sediakan seperti : ABB, Fuji Electric, Mitsubishi.Autonics, Hanyoung, Fotek. Teco, Siemens, LS, Chint, Schneider Electric. Azbil / Yamatake, Honeywell, Sick. DUNAELECTRICAL.COM: Harga Murah, Barang Berkualitas !! !